One of the issues the Ag2Nut community has discussed is the need to make diverse, nutritious foods more available and accessible. Within an overall agenda of sustainable development, increased nutritious food production needs to align with environmental sustainability, economic viability and social equity. In this call, the community discussed how these concerns intersect around livestock. 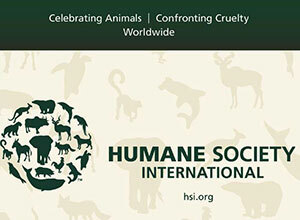 Dr. Chetana Mirle presented a case study of egg production in India, from the perspective of Humane Society International, which brings in concerns about animal welfare. The case study is an ongoing court case in India. India is the world’s third largest producer of eggs, and approximately 80% of India’s hens are confined in small, wire, battery cages. On one side of the court case are proponents of animal welfare, calling on the government to enforce the Prevention of Cruelty to Animals Act (1960) by implementing a phase-out of battery cages. On the other side, the industry and government argue that such a phase-out would significantly harm food security and nutrition in India. Is there evidence that increased production on factory farms increases access to eggs by households/individual suffering from malnutrition? Is there evidence that cage-free production would make eggs unaffordable? How would removal of battery cages impact production costs for small farmers vs. large factory farms? The call looked more closely at these questions and others, and to discuss whether animal welfare improvements affect food security; and if so, by what mechanism.